Ahly's towering defender Salif Coulibaly was on target as Mali crushed South Sudan 3-0 while the Ivory Coast made up for an opening loss by beating Rwanda in the African Cup of Nations qualifiers on Sunday. Moussa Marega put Mali ahead after 35 minutes and Coulibaly, who enjoyed a fine start to his stint with Egyptian giants Ahly, doubled the lead in the 73rd minute. Monaco forward Adama Traore completed the rout as Mali kept their place on top of Group C with maximum six points from two matches, two ahead of second-placed Burundi and five clear of Gabon. South Sudan lie at the bottom following two losses. 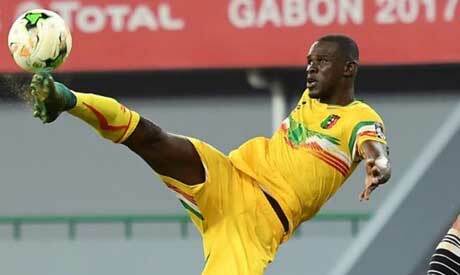 Ivory Coast, who slumped to a surprise 3-2 opening defeat by Guinea, recovered with a 2-1 away victory over Rwanda. Jonathan Kodjia robbed the keeper and slotted into an empty net to give the Elephants the lead on the stroke of halftime before Max Gradel made it 2-0 with a stunning angled volley four minutes into the second half. Meddie Kagere pulled one back in the 66th minute but Rwanda could not find an equaliser. Ivory Coast are third with three points, on level with Guinea and Central Africa who meet in the other group game later on Sunday.